We are huge fans of day-after sessions! While they aren't super necessary for elopements when we have 2+ hours for portraits, sometimes wedding days can be packed and we only get 20 minutes of sunset portraits, or we do portraits all before the ceremony and don't have any in soft light, so designating a full session the day after your wedding allows for a huge variety of portraits in prime lighting, plus we can go to an epic location nearby! 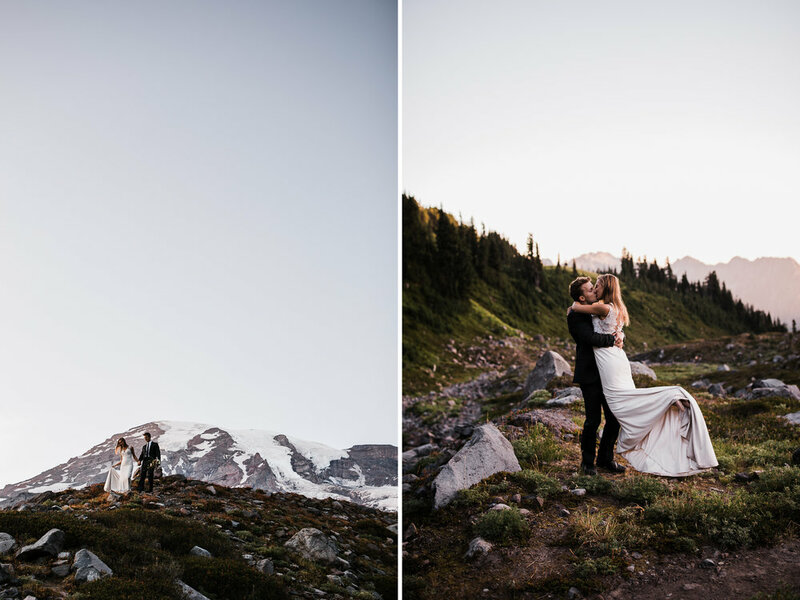 Jena + Kyler opted to road trip up to Mount Rainier National Park for their day-after portraits and they turned out so beautiful! We had a great time hiking around the flanks of Washington's tallest mountain with these two. We are so psyched on how their photos turned out, and are glad they were down for the crazy ideas like the huge wide shot of them far away on a ridge about halfway down this post. 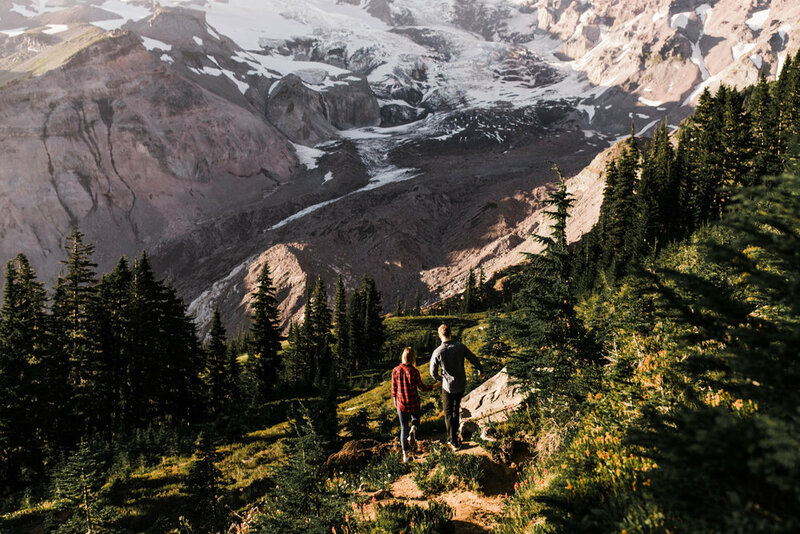 You might just think it's a landscape of Mount Rainier, but if you look closely you'll see them in the bottom left corner! We ended up shooting until it was well past sunset and had a hard time saying goodbye to these two after such a fun weekend together. If you missed their wedding blog post from last week, you can find it here!